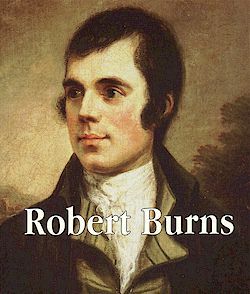 Yes, as we head towards 2011, its time to think about what we can do in January and our ever popular Burns Supper is on again to celebrate the most famous poet in Scotland – Robert Burns. whose message of friendship and Auld Lang Syne lives on. So the Council finally did it – banned completely A boards from the Royal Mile (and Rose Street, I believe) ! what I do object to is that the council has also banned A Boards from the tables and chairs areas that businesses RENT from the council aswell (for vast sums of money I may add). This seems very unfair as these areas have cost alot of money to local businesses and surely if we are not cluttering up the pavements we should have some scope for what we put there! In effect, removing A boards put on the pavements by businesses who had not PAID for that part of the pavement is one thing – penalising businesses that PAY handsomely for a part of the pavement also is a step too far and I think shows a lack of understanding of the problem – if we rent a part of the pavement and have an A board in that designated part that we PAY for then there surely there never will be any obstruction of the pavement. Bye bye, our beautiful cutom made A Boards – we miss you ! WHISKI has a full year of Scottish music planned for 2010 and we are avid supporters of Scottish traditional music. This year we hosted the official launch party of Ceildh Culture 2010 and have three regular gigs planned as part of Ceildh Culture, see our full events line up here. See the Ceildh Culture press release here. Here is our list of gigs for 2010. Well, a New Man Walking – and a BLUE giant at that. See video here. Its was a spectacular sight and he walked right past the WHISKI bar on New Years Day 2010. Join us for a memorable Burns Night Supper to celebrate our national poet Robert Burns whose message of friendship and Auld Lang Syne lives on. We truly love the traditional Scottish music sessions in the WHISKI bar and this is one feature that we are committed to continuing. Currently we have traditional Scottish music on every night at WHISKI kicking off at 9:30PM – 10:00PM. The FOOTSTOMPING begins and here is a taste of what to expect – this was from Sunday’s session and we hope you can make it down one night to get the toes tapping !